City of Krakow hosted OYAMA Karate Sports-Schooling Seminar that mainly focused on Knockdown. 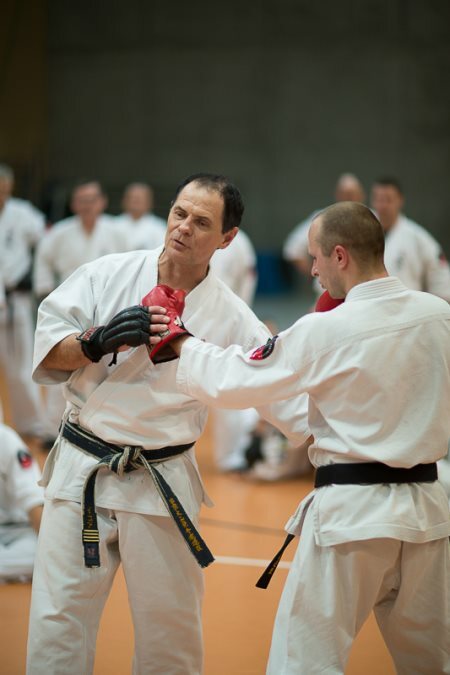 During a two day schooling around 160 participants including chief of clubs, instructors, referees and fighters from Poland , Russia, Germany and Hungary mastered new techniques and exercises. The main part of the meeting focusing on knockdown was conducted buy a special guest of OYAMA Polish Karate Federation – Shihan Igor Gubaydulin 5th dan (Russia), Country Representative and Director for sports matters OYAMA IKF. During two trainings Shihan Igor has shown methods and exercises for half distance fighting and ways to overreach the opponent. Following those ideas Shihan thought a number of tactical and technical combinations characteristic for the Russian way of fighting. At the end of the seminar, Shihan Igor Gubaydulin received applause for the professional schooling. OSU! During the second day of the meeting Shihan Pawel Pajdak 5th dan conducted a lecture for the referees. 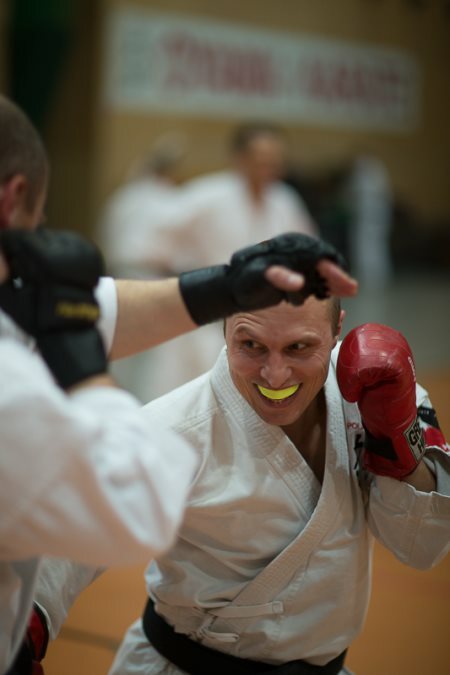 During the workshop numerous cases for referees were considered and studied in both Kata and Kumite. For the end for the meeting, Shihan Andrzej Pierzchala 6th dan – director for schooling matters OYAMA IKF conducted a dynamic training with elements of utilitarian fighting. trophies for the laureate of the Polish OYAMA Karate Ranking in 2013 and also conducted sports-educational class covering the program of “Sports against alienation”. Meeting was subsidized by the city of Krakow, OSU!